These romantically designed suites are located in a two-story building, featuring stunning views of the surrounding nature. 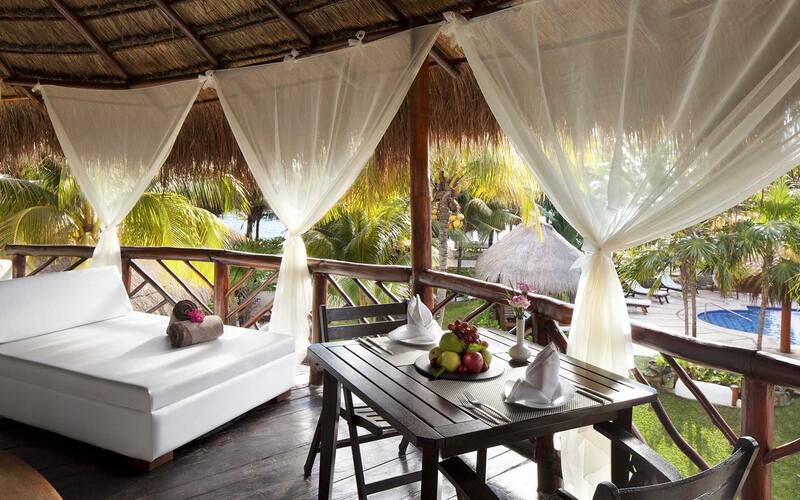 The Casita Suite is located in a two-story building, boasting stunning views of the surrounding nature. These romantic suites feature a king-sized bed, modern bathroom with a double sink, exclusive Aguas del Amor™ outdoor shower, and a daily stocked minibar. Step out into the spacious balcony and lay on your private double bed to gaze up into the twinkling stars. Enjoy direct views of the Caribbean Sea and the largest artificial coral reef in the world. Find yourself captured by the charm of these secluded, intimate suites. The Beachfront Casita Suite is a haven of luxury located in its own independent building, providing an unprecedented level of privacy. Enjoy its many lavish features, including a king-sized bed, spacious balcony, bathroom with luxury double sinks, an elegant shower, bathtub, a private indoor Relaxing Hot Tub, DVD menu, Aguas del Amor™ romantic outdoor shower, and concierge service. Dive into our lazy river located directly in front of your private balcony from this ground level suite. 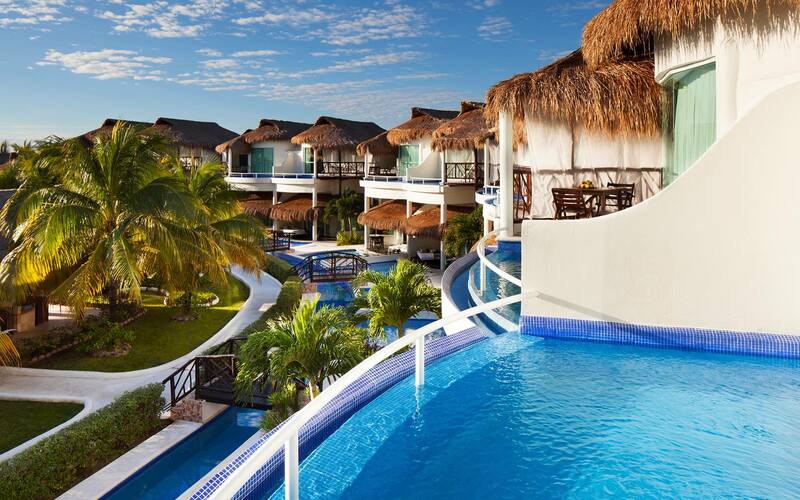 In addition to all the luxuries of the Casita Suite, the Swim-Up Casita Suites feature an exclusive water-mirror and private access to the resort’s lazy river that connects to the main pool and swim-up bar. Take a dip any time of the day in your exclusive balcony swim-up pool overlooking the blue ocean. 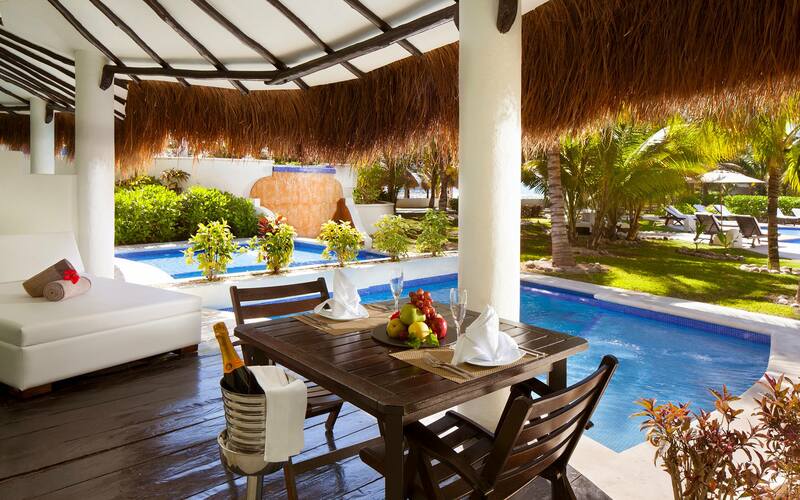 Indulge in all the luxuries of the Casita Suite, in addition to your own private swimming pool. 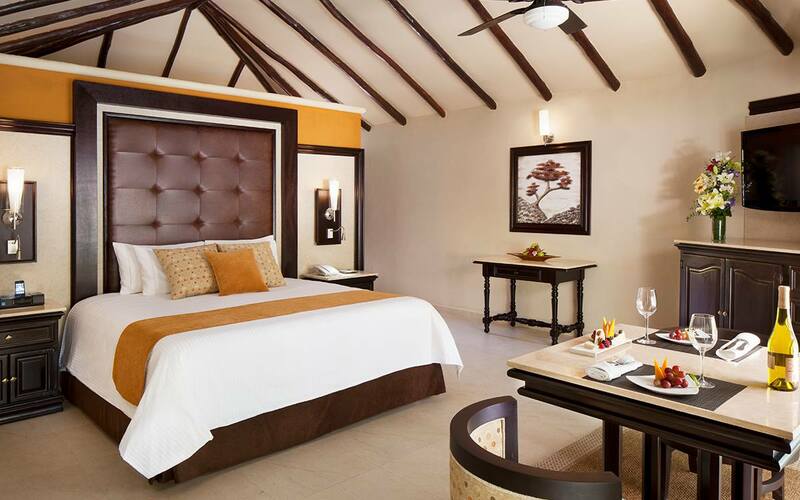 Indulge in all the lavish features of the Casita Suite, as well as your own private swimming pool with direct access to the lazy river that connects to a swim-up bar. The romantic Infinity Swim-Up Suites include a king-sized bed, exclusive Aguas del Amor™ outdoor shower, contemporary bathroom with a double sink and premium toiletries, in-suite Relaxing Hot Tub for two, concierge services, and an oversized balcony with lounge chairs. 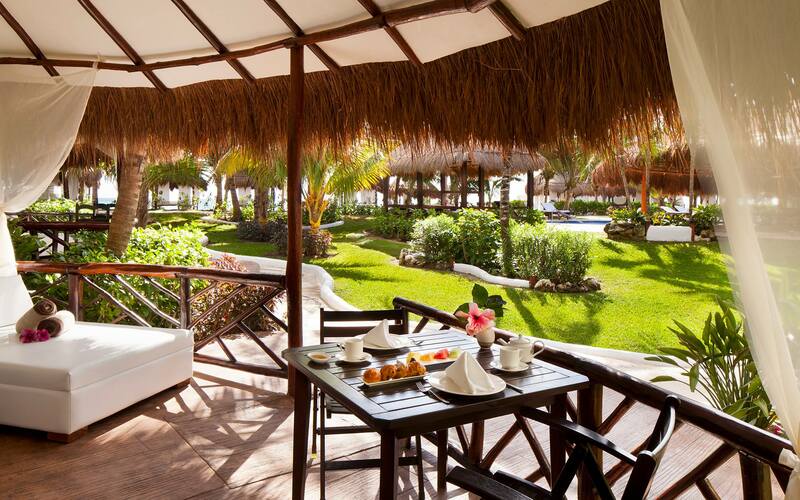 Enjoy personalized butler service and a host of exclusive amenities for the ultimate experience in luxury. 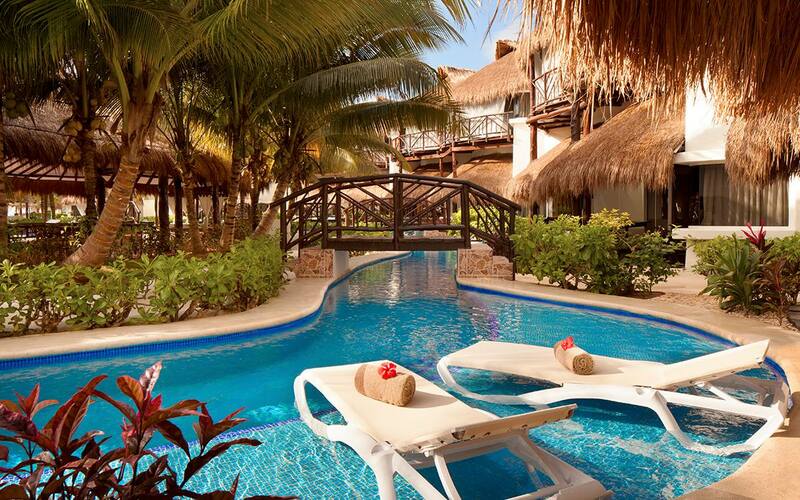 The Presidential Studio Swim-Up Suites are a true adventure in luxury. These sophisticated suites are equipped with a host of exclusive amenities to ensure nothing less than pristine serenity, including a liquor cabinet with a selection of premium brands, minibar with premium beverages, fruit basket and bottle of champagne, butler service, and your own private pool that connects to the resort’s lazy river. Take romance to the next level with extra amenities and your own private pool that connects to the resort’s lazy river. The Presidential Studio Suite exudes tasteful elegance in every facet. Delightful décor, modern design, and all the amenities you could ever desire. Take a dip in your private Relaxing Hot Tub or lounge on your plush outdoor daybed. Enjoy a host of added luxuries, including a minibar with a premium selection of spirits, a welcome fruit basket and bottle of champagne, butler service, a selection of upgraded in-room entertainment, and bike rental.